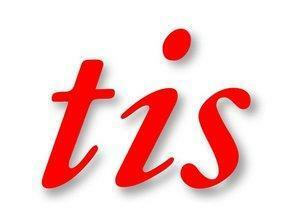 Founded in 1972, TIS is a solid, established, independent school with a keen focus on quality and personal service. Students work hard to achieve their aims in a welcoming, international atmosphere. *TIS host family accommodation is among the best in the UK. Students have a true experience of British life and culture. *Torquay is a cultured, British town with theatres, cinemas, museum, beaches and country walks. For more information about every aspect of our school, click here www.tisenglish.co.uk/downloads to visit the downloads section of our website. Our General English Courses will help you to improve your English in all areas: grammar, vocabulary, speaking, pronunciation, listening, reading and writing. You will be placed in a morning class at your level based on the results of the test you take on your first Monday morning and you will remain in the same class each morning. Afternoon classes, for students taking 18, 21 or 23 hours per week, allow the student to choose to focus on Language Development, Academic Skills or IELTS preparation. Our Examination Courses have been designed to help students understand the criteria required for each exam and give them the skills necessary to meet their targets. All our exam class teachers are experienced in teaching the exam syllabus and the school has a very high pass rate for all examinations. Lessons include a range of approaches and strategies to build understanding, activate usage and increase comprehension. The dedication of the teachers to help all students pass their exam is key to the success of these courses, but of course students also have to be prepared to work hard with their teachers to achieve their goals. This course is ideally aimed at anyone needing to improve their communication skills in English for their work. The study period will be intensive and classes are taught by teachers who are both qualified as English Language Teachers and have experience in teaching English for business and professional purposes. Classes will start at 13.20 and finish at 16.40 including a 20 minute refreshment break. These are intensive sessions with a maximum of 4 per class and include a variety of business related topics concentrating on the skills and language needed for meetings, presentations, telephoning etc., i.e. Communicative Language. These intensive morning classes focus on General English whether for travel and holidays, work, or just for personal satisfaction. The programme offers a range of General English Language topics chosen by the teacher in response to the needs and the level of each class. Classes start at 8.40 and finish at 12.00 with a 20 minute refreshment break during the morning. In addition, you can join us each day for lunch with a teacher and other mature and professional students. no matter what their level of English. Zoo and Aquarium, or a Boat Trip. traditional meal of fish & chips, a disco, a folk night or a BBQ. Exeter, Bristol, Plymouth Aquarium or the Eden Project. I arrived at this School last february. I have changed to several courses but all of them have been fantastic. All the staff are completely profesional and I´m very glad because all of them, teachers, students or receptionists are very kind and helpfull. When I meet them in my break time they speak with me. I have met a lot of people, because there are new people each week and I have had a wonderful group of close friends who I still keep in touch with all of them. The time inside the school passes very fast because there is a wide variety of activities and trips they organise. It´s really worth studying in this school and I realise I´m improving my english skills very quickly. Thank you very much Rebecca for this lovely review! We are delighted you are enjoying your time at TIS! Die Schule hat grossartige Lehrer, die Organisation ist perfekt. Ich wurde anhand des Einstufungstests sehr passend eingestuft, der Kurs hat somit sehr viel gebracht. Mit hat auch besonders die freundliche, familiäre Atmosphäre gefallen, ich habe mich sofort sehr wohl gefühlt. Die Schule bietet ein interessantes, abwechslungsreiches Freizeitprogramm an und man dabei eine gute Möglichkeit, die Sprache zu üben. Ich würde wieder die TIS International School wählen!! I love TIS & I love Torquay. Classes in mini-groups were worth it. In 5 weeks I definitely improved my English. I enjoyed everything but the weather actually, however the last week was fantastic. Thank's a lot to all the teachers I was in contact with. I hope I will be able to come back soon. I have been studying at TIS for 7 months and the time here has been amazing. Despite the fact that i have not had a conversation with the director, Kevin Mcnally, i am sure of his profesionalism because it is reflected in the methods the teachers must apply, which in my opinion have very few mistakes. Your time table will depend on how many hours a week you would like to take. For example, at the moment i am taking 23 hours a week and this works well for me. However, you can either take lessons just in the mornings or in the afternoons and vice versa. You can also choose which days you would like to have them. Torquay is a nice town, peaceful and full of activities, which the school also offers every day and you can decide whether to go on them or not. It may be a bit more expensive than other places to learn English but i think it is justified because of the quality of the lessons. Although i am not a very good friend of the methods used by schools to just teach you how to deal with exams, some of which TIS employ, i asure you that you will learn a lot. To sum up, TIS is a great school either for those interested in passing exams or simply learning the language as a hobby. Anyway, attending TIS will give you the chance to evaluate your knowledge of the English language. Thank you very much for such a comprehensive review Mateo. Best wishes,TIS team. TIS is located in Torquay, which is a part of the English Rivera, that is one of the most beautiful places in Europe. For students, it is a great opportunity to come here to improve their English. TIS offers a wide variety of social activities, and the person who is responsible for these activites is always open to new ideas. In Torquay, students can have an active holiday, while at the same time improving their English. If a student wants to learn more, every teacher gives him or her extra work if students want that. All teachers are helpful, open minded, easy- going and very patient. They listen to their students and very patient. They always listen to their students and try to help them. In fact, the whole staff are helpful and try to find a solution for all the differnt problems student have. Everybod is very friendy. Thank you very much for your kind words Luzia. We are glad you are enjoying your time at TIS.